Pretty much stating the obvious here but...I'm back! Before I get into this post I just want to say a massive sorry for the little disappearing act I've pulled over the past two weeks. Most of you probably won't have even noticed that I've not been posting too much, but I've felt so terrible about neglecting my little space on the inter web. 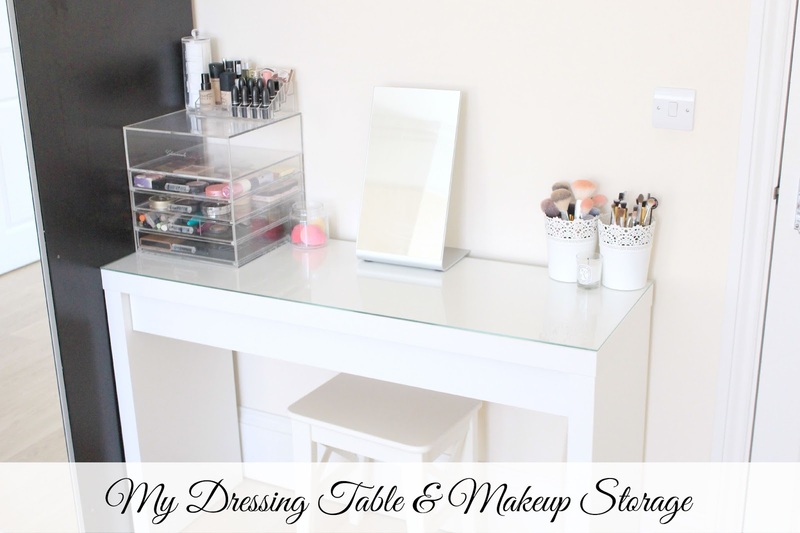 However, I'm back with something which hopefully makes up for it a little bit...my makeup collection & dressing table post! Ideally I would have liked to do this in a video but YouTube is just something I couldn't really get in to and subsequently ended up deleting my channel, so I'm going to try and make it work in post format. I've been wanting to do a makeup storage post for yonks now, but because I never really had any proper set up or space in my old room I wanted to hold off until I had a proper set up which I was really in love with. So when I moved to London I made it my mission to get myself a proper dressing table and a little area where I could sit and play with all of my makeup, and also use as a little desk for blogging. Now, I know I'm just one big blogger cliche with this but I decided on the Malm Dressing Table from IKEA as it fitted in nicely with my existing furniture and it's really convenient for storage. The room I moved into was already furnished with other bits from the Malm line in the dark brown shade, so I wanted something that would fit in with my room as well as something which would be great for makeup storage. I also already had the Alex Draws from IKEA in white, which is why I went with the white colour, as should I ever move those would be the two pieces of furniture I could take with me, so I wanted them to match. I like to keep the top of my dressing table quite clean and uncluttered, as I also sometimes sit here to do a little work and having little bits all around just looks messy in my opinion. So on one side I just keep my makeup brushes in these little flower pots from IKEA, which I'm sure you've all seen before. 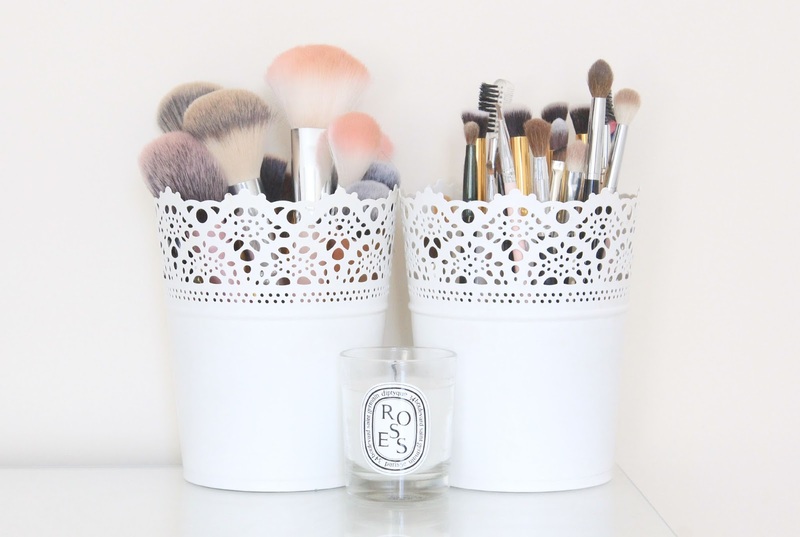 I liked them because they were simple but still pretty and girly, and they're the perfect size for storing brushes. I also have a little Diptyque candle in Roses which I got as a gift with purchase. It's not my favourite smell in the world but I like the design of the jar so I just popped it over here. In the middle I have a mirror from IKEA, this was only £15 which I thought was a pretty good deal, however I really don't like the way it tilts back as it's a really odd angle for doing your makeup so that's something I'd like to replace when I get the chance. On the other side of my dressing table I have my acrylic storage. 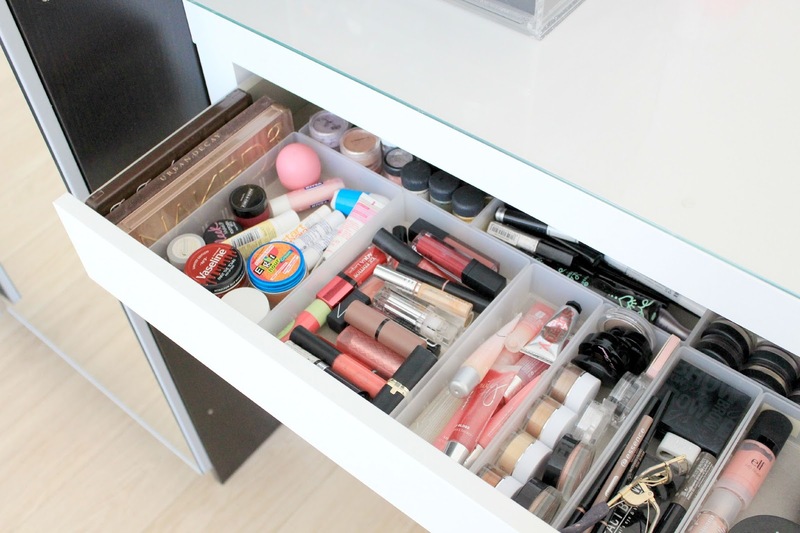 The large acrylic draws are from Glamour Living and are so handy for storing some of my favourite makeup pieces. I've tried to organise this by category, so in the first draw I have blushers, highlighters and bronzers then in the second draw I have some face palettes and some more bronzers, as I found that I didn't really have anywhere to put them. The third draw down is a bit of a mash up with eyeshadows, concealers, eyeliners, lip pencils, etc but it's split up into 6 sections which I think adds some kind of order to the draw. Finally, in the last draw I have some of my face palettes such as my MAC palette, a Cargo palette and a Lancôme travel palette. Next to this I also have an old Yankee Candle jar which holds all of my makeup sponges. I use these everyday so I find it really useful to have them sitting on top of my dressing table where I can grab them easily. On top of my acrylic draws I have this little acrylic organiser which I picked up from my local TK Maxx for around £7 and in here I store all of my MAC lipsticks, along with a few of my more frequently used higher end lipsticks at the back, as I like to have these on display. I also store a couple of my favourite foundations and lip glosses in here, along with the Benefit Big Beautiful Eyes palette, as I find that it's such a handy one to grab when I'm in a rush doing my makeup. On top of my acrylic draws I also have an acrylic cotton pad holder from Amazon, which is so handy for when I'm removing my makeup in the evenings. Now on to the main bulk of my makeup storage...the dressing table drawer. I posted a picture of this on instagram a couple of days ago and I got a lot of questions about how I organise it and where I got my dividers. I organise my makeup in the order that I do my makeup starting from right to left. So I start off with primers, then on to foundations, powders, blushers, eyebrows, eyes, lip products and so on. I won't go through whats in each individual compartment as this post is already getting to be quite lengthy, but do let me know in the comments below if you'd like to see individual collections. I got the dividers from Muji, however they have since discontinued these exact dividers and bought out some which are very similar, but with rounded edges which you can see here and here. They're great for both the Malm dresser and the Alex drawers, which is why I chose them. Muji do them in a number of different sizes, however I have them set up with the larger rectangle size along the front, and then some long thin rectangle containers at the back. This doesn't fill up the whole drawer as the drawer doesn't pull completely out so I chose to leave some space at the back. I also have my Alex drawers which store my palettes and some overspill makeup, a long with all of the makeup which I have yet to review. However these aren't organised properly so I won't show you inside of them. 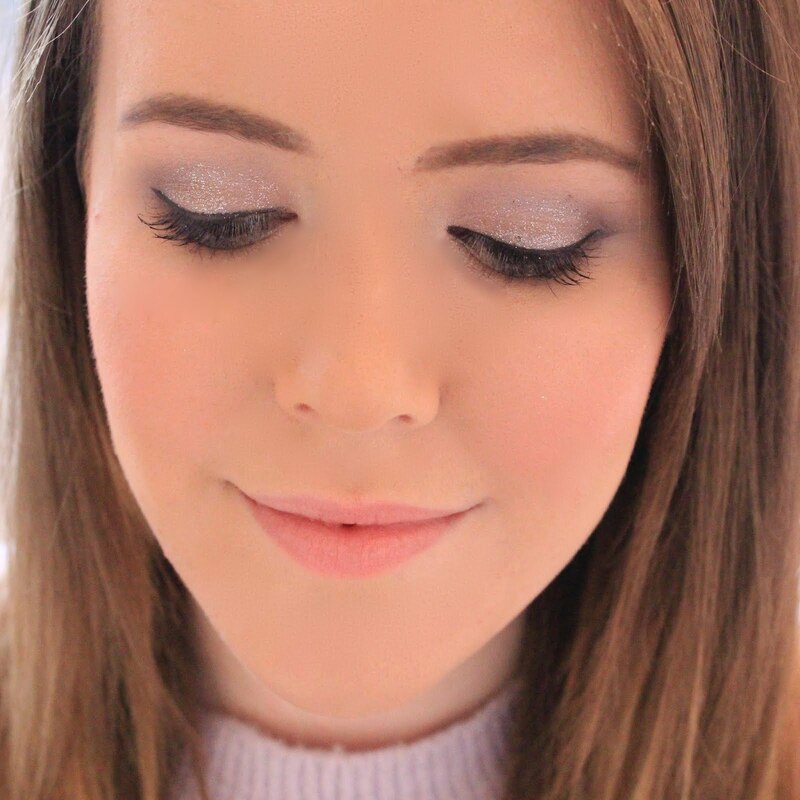 So I know this has been a pretty lengthy post, and I've had to skim over some areas but I hope you liked my makeup storage and collection...let me know in the comments below what you thought and if you'd like to see certain aspects of it explained more thoroughly in a separate post. I didn't want to go into detail about what is in each section of my draws, compartments, etc in this post as it would just end up being so long but I'm more than happy to share them with you in other posts! This is such a nice set up and I've been meaning to get some acrylic storage as well. You've inspired me with your makeup storage, I definitely need to have a go at organising mine! This desk is so perfect for makeup! 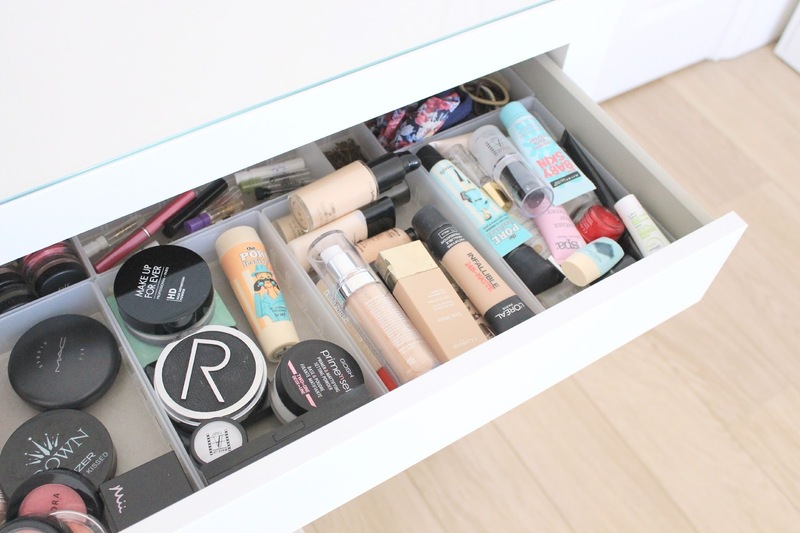 I love how organised your makeup is! Mine is currently a mess as I have to move it to and from uni every holiday! But I have basket storage tower which is where my most used makeup is! I love this dressing table, I've had my eye on it for a while as I'm moving in the next few weeks. Your set up is fab! Urban survival is a life saving course that everyone should know in the event that they're confronted with a crisis situation. In urban warfare, the fight moves from one home to the next house and civilian are unfortunately caught in the crossfire. So it's important that civilians are taught must know how to deal with the life threatening situation. Love how neat and edited everything is. Whenever I see vloggers' makeup stations with endless drawers filled with makeup I get anxiety. This is so clean and put together, well done! this is a lovely set up! will always be very classic and in fashion too! Can't wait to do up my own vanity space - will come here for inspiration! Make a Splash with Birchbox this July!